With their support, Reece attended numerous job fairs and college open days. Persistence paid off when they found a 12-month course in a local hospital, leading to sustainable employment. Reece is unable to travel independently due to being anxious about unexpected events. At first, this prevented him being accepted on to the course. Not wanting to give up, his support team worked with Reece to persuade the organisers that he would be an ideal candidate. They encouraged Reece to gather evidence of his attendance record from his college and other activities. They also supported him to attend a series of meetings with the course organisers, where he made his case for being included. Everyone was jubilant when Reece was accepted on the course. 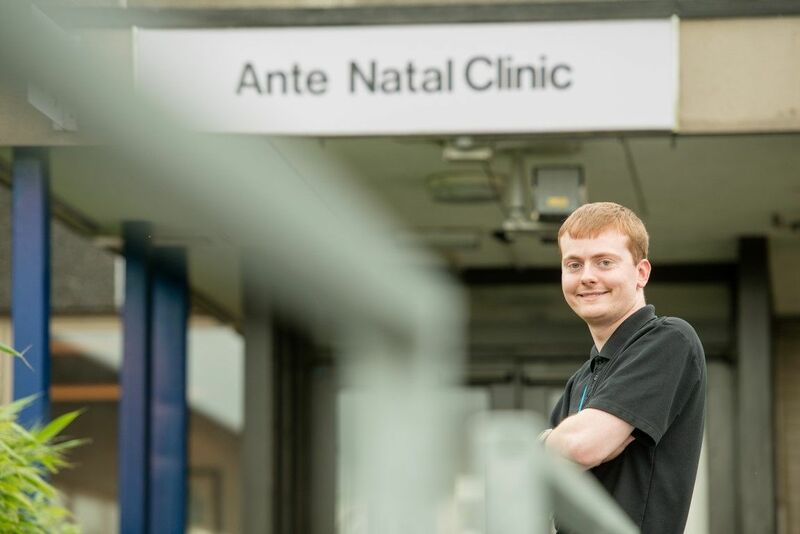 Reece excelled at the course, learning new skills that helped him to understand and work in the hospital. He was then offered a placement with the Ante-Natal Department, where he now works part-time, setting up new patient files. Reece says, “I really like my job and being on the staff. I went to the party with them at Christmas.” Reece was a little reserved at first, but has now progressed to being one of the team.